The largest company to enter the UK home energy market for 15 years has arrived armed with a new smart heating control system. 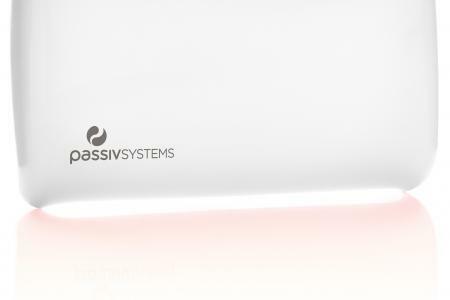 ENGIE has developed the PassivLiving HEAT system, which is only available through its new ENGIE Control tariff and allows customers to easily manage and monitor their heating and hot water at the touch of a button, from any location, using a smart phone, PC or tablet. Customers will not pay any upfront cost for the supply and installation of the smart thermostat, which ENGIE hopes will make smart energy management a possibility for many more people. One in 10 energy bill payers has no idea how much money they are spending every month on their electricity and gas. Four in five (78 per cent) have installed or would be interested in installing a smart meter to gain more understanding of their energy usage in real time. More than a quarter (26 per cent) of energy bill payers said if they could influence the government to make changes to the future of energy in the UK they would make smart devices more widely available. ENGIE's smart heating system works with networked sensors giving customers control of their heating remotely. It considers several factors, including external weather conditions and boiler performance to make sure the customer’s home is heated to suit their needs, using as little energy as possible. The system features four easy to use modes for when the customer is at home, asleep, out or away. The ENGIE Control tariff is fixed for three years, allowing for longer protection than a standard plan against price increases and changes in the energy market. It is available to dual fuel customers only and requires a compatible device to control the system, such as a smartphone or tablet.